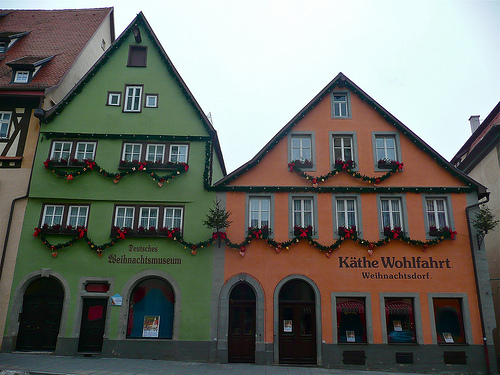 Regardless of whether you’re there at Christmastime, a great little shopping excursion with your family is to a Käthe Wohlfahrt Christmas Store in Germany. The flagship store is in Rothenburg, but there are now other locations in Heidelberg, Oberammergau, Bamberg, Nürnberg, and many more. 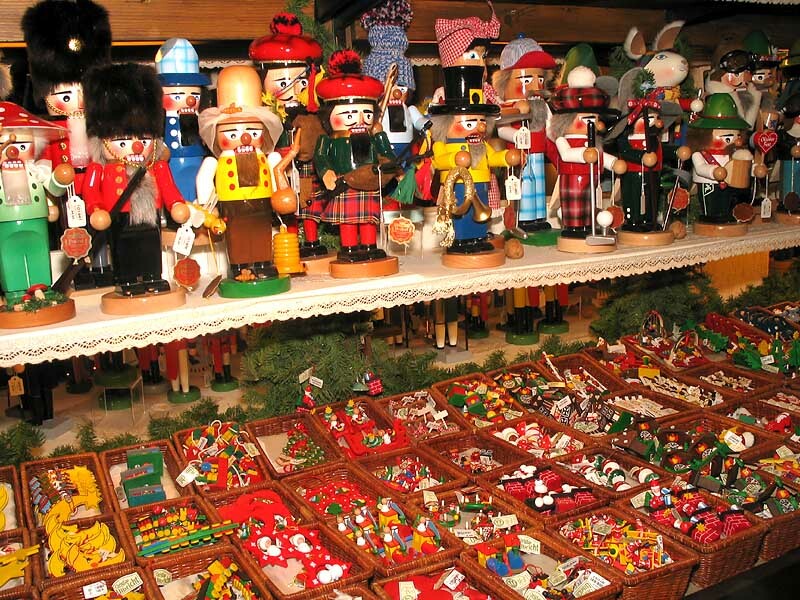 These Christmas specialty shops sell exceptional and unique Christmas items all year round and boast the world’s largest collection of traditional German Christmas ornaments. This is all INSIDE the store! The gorgeous medieval town of Rothenburg transforms itself into a brilliant Christmas village during December, should you ever be so lucky as to find yourself there during that season. (We have not). But any other time of the year you’re visiting Rothenburg, take a moment (or several hours!) to pop into Käthe Wohlfahrt’s signature store. 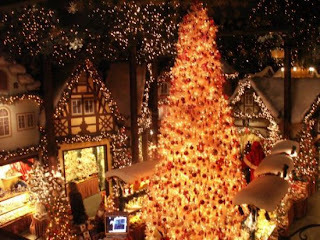 This fantasyland is arranged as a Franconian village market with a towering 18 foot revolving Christmas tree in its center and a 13 foot tall nutcracker at the door. Young children will be agog. Parents will appreciate the high quality and craftsmanship of the collectibles. 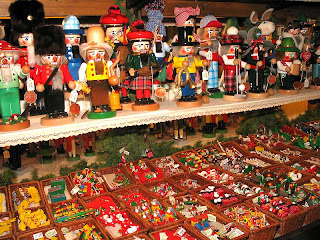 You will find music boxes, nutcrackers, Schwibbogen (candle arches), ornaments, figurines, and nativities, many of them hand-made right there in the Rothenburger Käthe Wohlfahrt workshop, where designers and artists have worked for decades. Next door to the shop is the German Christmas Museum, where you can learn about the history of German Christmas traditions and customs and enjoy the permanent exhibit of all things Christmas. The museum is open from the middle of April through the middle of January. A family ticket is only 7€. looks super lovely, see any pickle ornaments?! Newest follower, happy to meet you! I have some things from Kate Wohlfart. I love them. so nice to see you were there. It looks great. I have never wanted to go to Germany, but after this post and your other one on the Christmas markets I hope to take my daughter someday! What an enchanting time this must have been to the store, museum and just Rothenburg itself. The entire town looks like it came from pages of fairy tale. Exquisite pics too my friend.